They play a starring role in a vegan diet. I was not happy about this when I first became vegan because beans from the can are mushy, bland, and kind of a bummer. But two years ago, I met Allison at Organically Yours in Northport and she encouraged me to soak beans and make them myself. I have to admit, I was afraid but it is so easy, it is ridiculous. No more cans! You will never go back to canned beans once you have made them yourself. Think about your menu for the week and you can make whatever you are into. Generally, I soak about a cup of beans at time which usually yields about 2 1/4 cups of cooked beans. Tip: save the bean water for flavoring hummus, soups, or burgers. Place beans in a bowl and cover with water. Let them soak overnight or for at least 8 hours. Drain the water and rinse the beans. Place the beans in a pot and cover with new water. Bring them to a boil. Once they are boiling, you will see foam on the surface. Skim the foam from the top (this is where the infamous “beans, beans, they are good for heart…” comes from.) Then cover, reduce to a simmer, and let them go for close to an hour. Check them every so often since you don’t want to overcook them. When they are al dente, turn off the heat, keep the lid on the pot, and let them sit in the bean water for a while to finish cooking slowly. 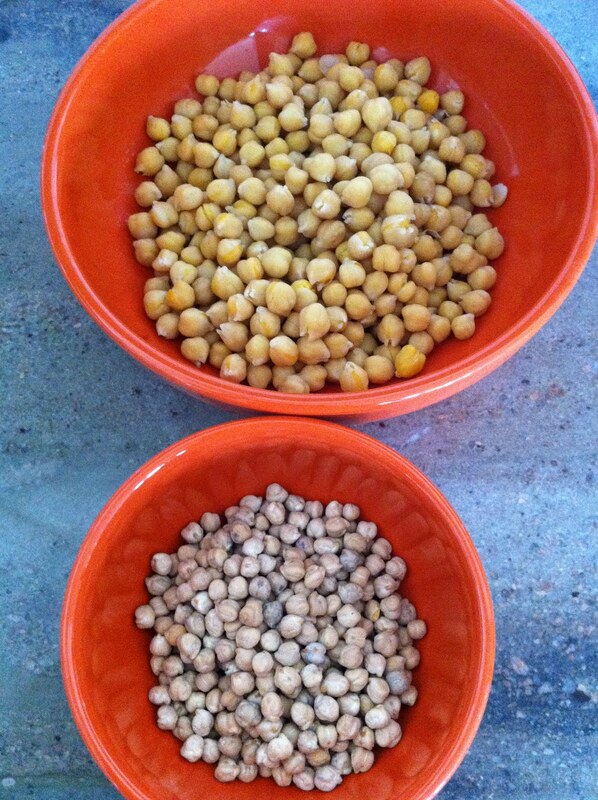 Drain them in a colander; do this over a bowl so you can save the water, if desired. Add to any recipe that calls for beans!